Falling asleep wearing contact lenses once in a while: How dangerous could that really be? It’s this lax attitude that scientists have tried to combat by revealing horror stories caused by such carelessness. In one case highlighted in a paper published in the Annals of Emergency Medicine, a 57-year-old man wore his contact lenses for two weeks straight. 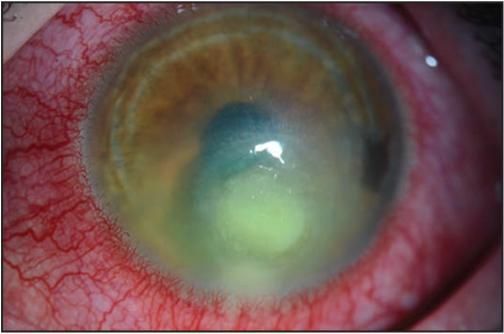 This caused his cornea to perforate, and triggered an infection. To save his right eye, surgeons had to perform a cornea transplant. Scientists also detailed how another man, also in his late 50s, ended up with a cornea transplant. He had slept in his lenses on a two-day hunting trip. By day three, his eyes began to hurt, and he tried to fix the problem with over-the-counter eye drops. Even two antibiotics prescribed by his doctor and taken hourly failed to help. Wiping his eye with a towel one day, he felt a pop and pain in his left eye. An ophthalmologist diagnosed an ulcer, and the man underwent an emergency cornea transplant. Another story involved a 17-year-old girl who had bought contact lenses at a drugstore without a prescription from her optician, and slept in them overnight. The resulting ulcer caused scarring on her eye. One 34-year-old patient who had worn contact lenses for 17 years visited his doctor because his eyes were red and his vision was blurry. His ophthalmologist discovered he had been going against medical advice and sleeping in his lenses for three to four nights a week. He also wore them while swimming, which can expose the eye to harmful bacteria. Tests revealed he had a bacterial and fungal infection called microbial keratitis. After two months, his condition didn’t improve, and he was put on a course of hourly medication for six months. Some 45 million Americans are believed to wear contact lenses—and as many as one third of them have slept or napped while wearing the sheaths despite the risks, the authors wrote. Even doing so occasionally can spike the chance of infection six to eight times, they warned. Dr. Jon Femling, lead author of the study and assistant professor at the Department of Emergency Medicine, University of New Mexico School of Medicine, said in a statement: "Falling asleep, or even napping, without removing your contact lenses can significantly increase the likelihood of serious health problems." "Sleeping in lenses is one of the riskiest and most commonly reported behaviors for adolescent and adult contact lens wearers. "If you want to avoid infection, and avoid a trip to the emergency department, proper eye care is a must." Dr. Justin T. Baca, assistant professor at the University of New Mexico Department of Emergency Medicine who worked on the paper, told Newsweek: “These case studies highlight the potential for serious infection and vision loss from improper use of contacts." “Simply sleeping in your contacts under the wrong conditions can lead to devastating problems,” he said. Baca warned patients not to ignore eye infections. “There are many different types of infection, and an infection that is not improving should be treated by a specialist,” he emphasized. 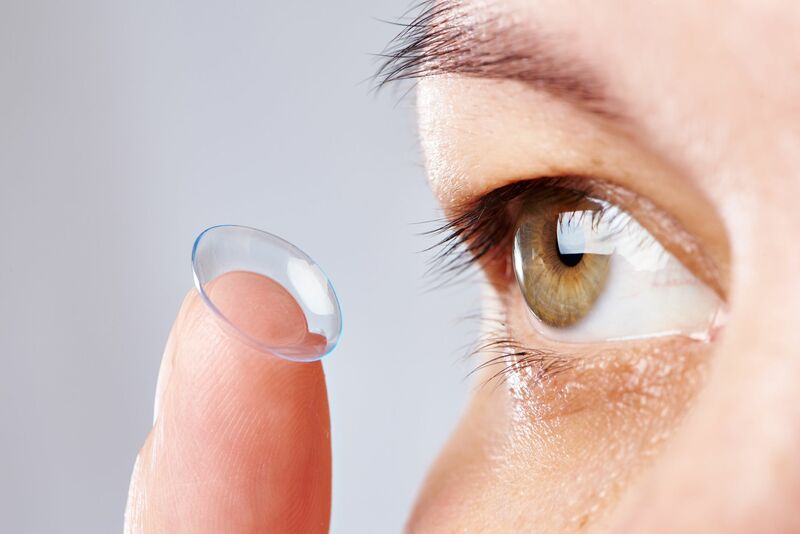 He urged those who have experienced infections caused by contact lenses to report the product to the Food and Drug Administration Safety Information and Adverse Event Reporting Program. Dr. Yvonne Norgett, an optometrist and senior lecturer at Anglia Ruskin University whose research interests include contact lenses, told Newsweek that the devices were generally safe, and rates of infections were extremely low. "Although rare, this paper illustrates that eye infections can be very painful, take many months to resolve, may require surgery and can permanently damage vision. "For those who are dismissive of instructions given, this research could be used to illustrate the potentially serious consequences of not adhering to recommendations for the wear and care of contact lenses."